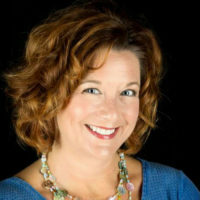 An East Tennessee native, Rhonda loves being a part of the Joy FM family and co-host with Joy FM veteran, Adam McCain. A graduate of the University of Tennessee, Rhonda spent years behind the scenes in radio and television before finally seizing the opportunity to do what she does best – talk. In addition to her background in marketing, advertising and public relations, Rhonda has also executed fundraising campaigns for several non-profit organizations and has a natural passion for helping others. She has served in the United Emmaus Community for more than seven years and has actively supported Fellowship of Christian Athletes and Summit Leadership Foundation, among other ministries.